Upon seeing this on HackADay, I was inspired to do the same thing, except with my RGB cube. Using Processing and Arduino, I developed similar scripts that will carry out the same actions as the link mentioned. With certain libraries loaded, Processing will constantly take screenshots of what is being displayed on your monitor, and take note of the colours of each pixel. It then skips every other pixel (since EVERY pixel colour is not necessary) running across your screen, and averages them out to one colour. It writes to the serial port: red, green, and blue values for that average colour, and then gets recieved by the Rainbowduino in my cube. There is then code loaded onto the cube through the Arduino software, which interprets the values and simply sends them to each RGB led. 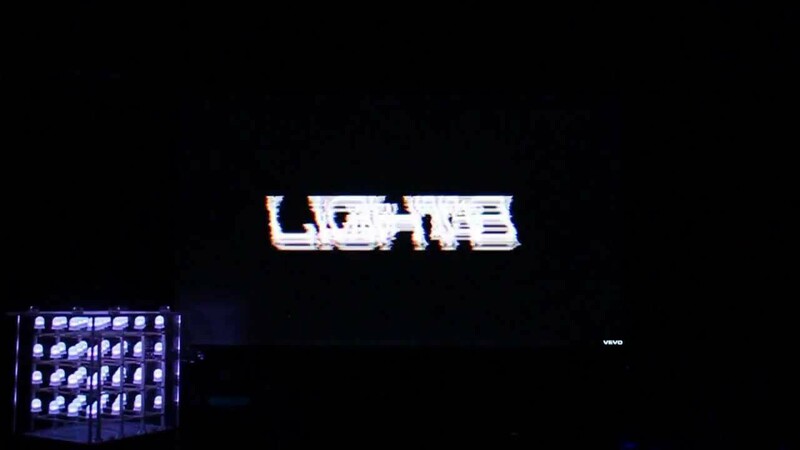 In the video above, I feature the most epileptic music video of all time, All of the Lights by Kanye West. I chose it because of the wide range of colours used in the typography, and the cube shows it really well. Unfortunately there is no sound because of copyright with YouTube.